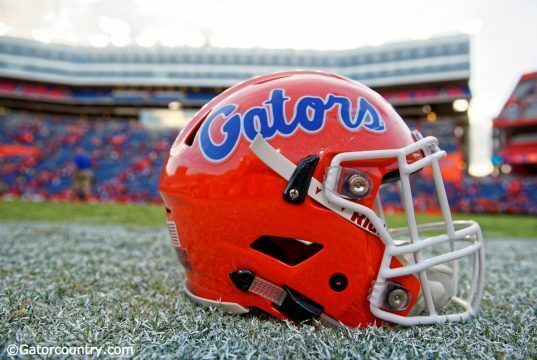 Jerry Howard of Orlando Jones isn't wavering at all on his commitment to Florida. Putting the Miami Hurricanes' coach, Larry Coker, on the hot seat is nuts. 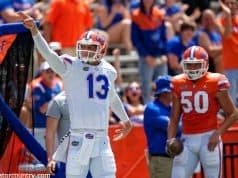 While the Gators may be woefully thin at QB, they're loaded in talent behind Leak and Tebow. 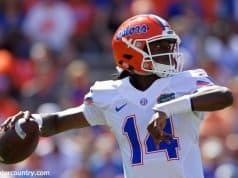 Here's my list of six Florida Gators who need to survive the season w/o injury for UF to go far. Ray McDonald gives insight into the team dynamics under Coach Meyer. History says Urban Meyer's spread option offense takes off in the second year. Larry Vettel counts down the greatest players by number in the history of the University of Florida. Coach Urban Meyer addresses the media along with Chris Leak and Ray McDonald. The Rebels' senior QB is being converted into a tight end in their offense. Ole Miss Linebacker Patrick Willis, in addition to being injured, suffers the loss of his brother. Ed Orgeron feels he can succeed at a place where mediocrity has been the rule not the exception. Mike Shula knows the hot seat is never far away at the University of Alabama.